Location Information: Bervie Cemetery is situated approximately half a mile north-east of Gourdon station, between Bervie and Gourdon. It now belongs to the County Council and the Inverbervie Town Council. There are burials of both wars in this cemetery. The cemetery sits on an incline and has a good view over the North Sea. 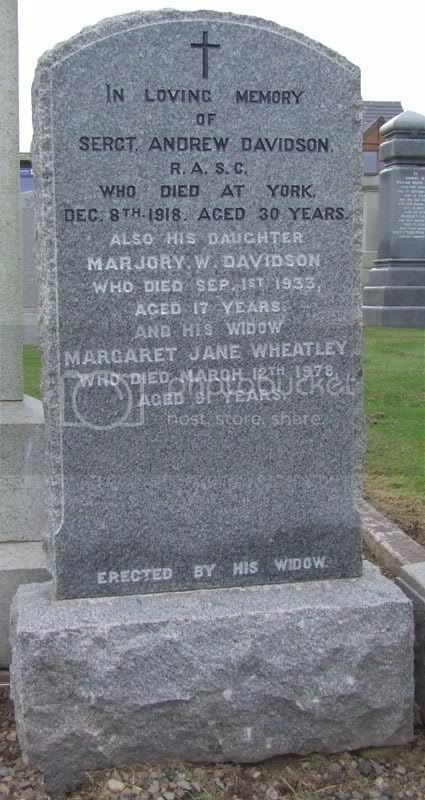 Additional information: Husband of Margaret J. Davidson, of Pine Creek, Bridgend, Inverbervie. Additional information: Son of Robert and Margaret Dickson, of 29, Queen St., Gourdon, Montrose. Unit Text: 506 Coast Regt. 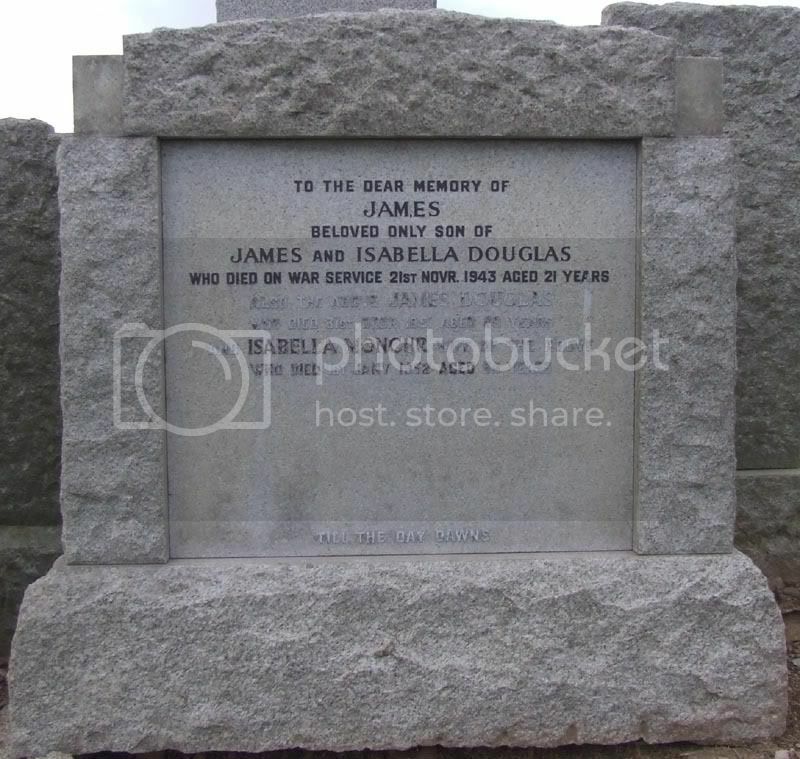 Additional information: Son of James and Isabella Douglas, of Aberdeen. Grave/Memorial Reference: Sec. B. Grave 196. Additional information: Husband of Annie McLean, of 90, Barclay St., Stonehaven. Additional information: Son of Andrew and Jessie York Milne, of Gourdon; husband of Eliza Milne, of Gourdon. Grave/Memorial Reference: Sec. B. Grave 83. Additional information: Son of Andrew and Jessie York Milne, of Gourdon; husband of Margaret Milne (nee Michie), of Arbroath, Angus. Grave/Memorial Reference: Sec. B. Grave 187. 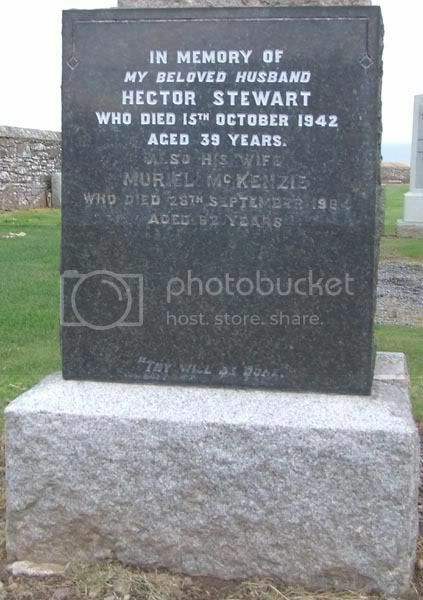 Probably because he died in 1946 he didn't feature on either the Gourdon or Arbroath war memorials? 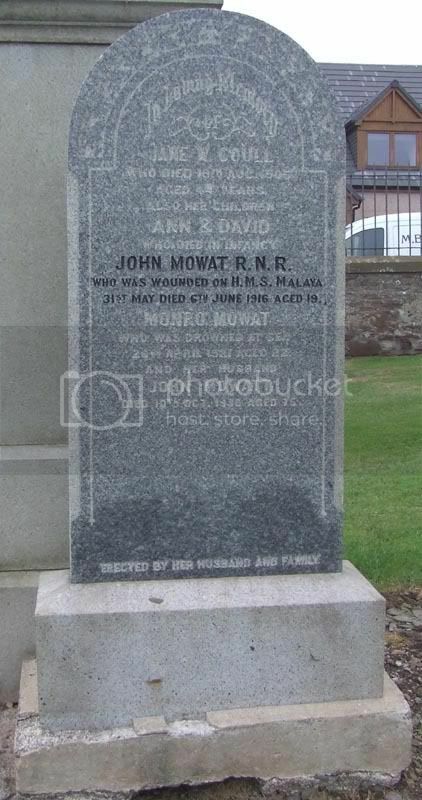 Additional information: Son of John and Jane Coul Mowatt, of 57, William St., Gourdon, Montrose. The Following are family Headstones. Additional information: Son of James and Mary Adams, of 7, Bridge Field, Bervie, Kincardineshire, Scotland. Unit Text: H.M.S. President III. 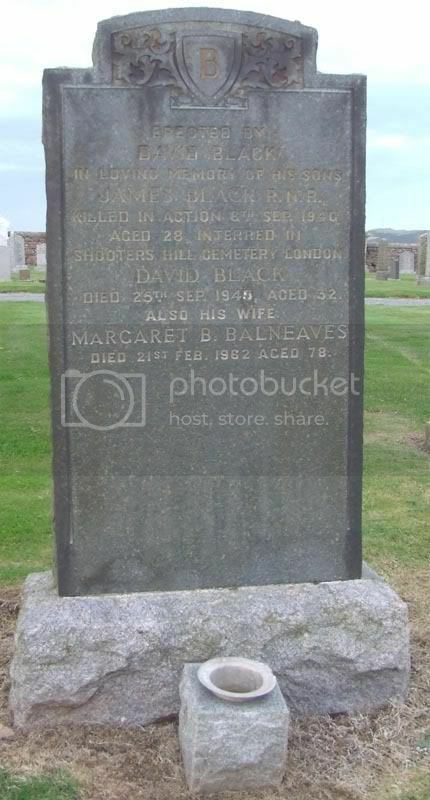 Additional information: Son of David and Margaret Black, of Gourdon, Kincardineshire. Grave/Memorial Reference: Plot B. Grave 15. Screen wall. Panel 1. Unit Text: 196th Heavy Bty. Additional information: Son of David C. Boath, of Castle Terrace, Bervie, Kincardineshire. Additional information: Son of James and Helen Walker Campbell, of 17, East End, Gourdon, Montrose, Kincardineshire. 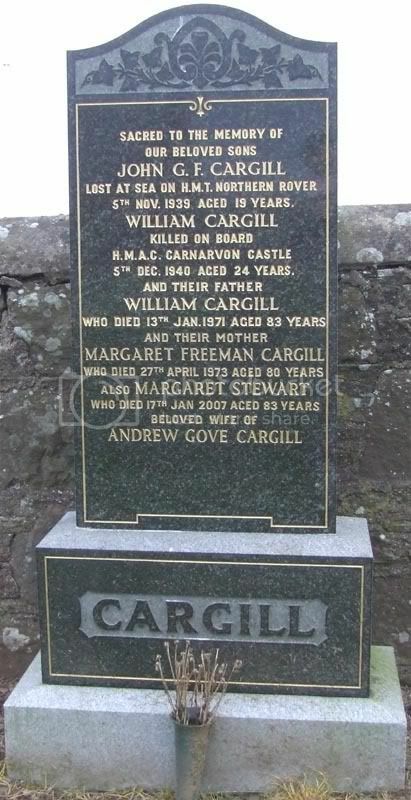 Additional information: Son of William and Margaret Cargill, of Gourdon, Kincardineshire. Grave/Memorial Reference: Panel 36, Column 2. Additional information: Son of William and Margaret Cargill; husband of Jeannie Winter Cargill, of Montrose, Angus. Grave/Memorial Reference: Panel 44, Column 1. Grave/Memorial Reference: VII. D. 9.